Sunisa Lee was in the middle of her tumbling pass on the floor when a foam block came flying right at her. "Nice concentration," her coach, Jess Graba, observed. "She's funny because she's kind of oblivious to people walking beside her. She can just block it out," said Graba. 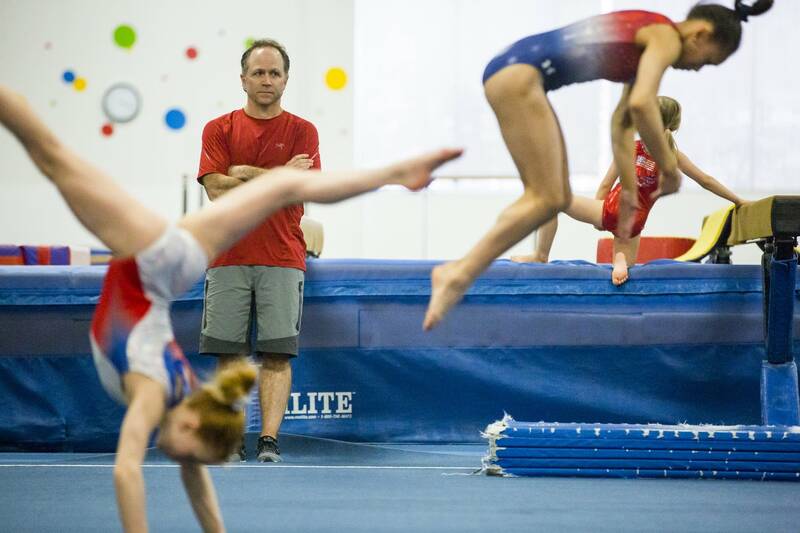 That sort of focus will be crucial in the next few years for the 14-year-old rising gymnastics star from St. Paul. Someday, she hopes to be among the greats of American gymnastics, joining the ranks of such legends as Shannon Miller and Simone Biles. She's already well on her way. Earlier this year, Sunisa was named to the junior national team, joining only about two dozen other girls in making either the senior-level or junior teams. 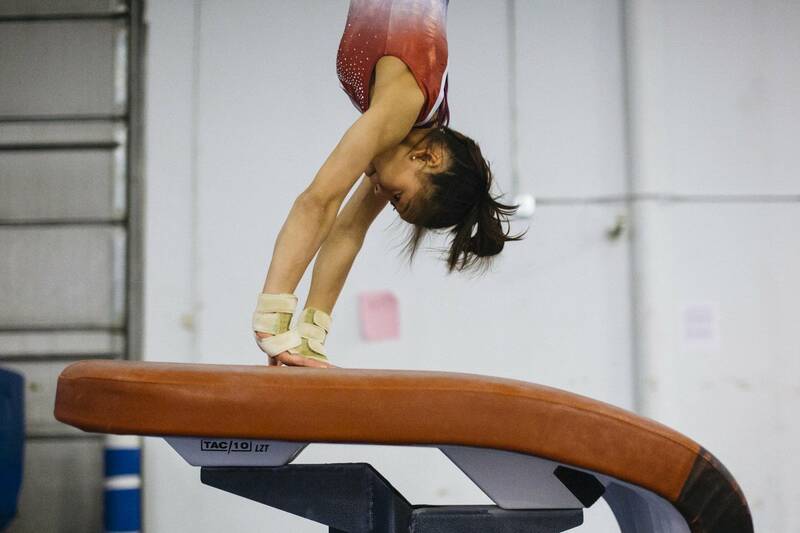 She competed in her first international contest and not only helped the four-member U.S. team win gold, she also placed second in the uneven bars individual event competition. On top of that, she's breaking ground. She's believed to be the first Hmong-American to make the national gymnastics team. In 2020, Sunisa could likely be the first to represent the U.S. at the Olympics. There's a poster of Sunisa — or Suni, as many people call her — on the Wall of Fame at Midwest Gymnastics in Little Canada, where she trains. It's a stop-you-in-your-tracks kind of image — it captures the lithe 4-foot-10 Suni in the middle of her floor routine, showcasing her eye-popping flexibility. She's standing on her left foot, pulling the other foot back and upwards behind her with both arms, forming a straight line with her legs. It's both awe-inspiring and intimidating, especially when you consider she got a late start in gymnastics. She was 6 when she began taking lessons — "old" in the gymnastics world. Some start classes as early as 18 months; others around 3 or 4. But that's not to say she wasn't already doing her own form of gymnastics. "I used to flip around a lot and I was super active," Suni said. Her parents, John Lee and Yeev Thoj, remember how she used to tumble around the house and the back yard — everywhere. "People kept asking us, 'Is she in gymnastics?'" Thoj said. In time, Suni ended up at Midwest Gymnastics because a family friend knew one of the coaches there, Puner Koy. "We just set up an appointment to go meet up with Puner and they tested her a little bit, and then he said, 'OK, we'll just keep her,' " Thoj said. She's been at Midwest ever since, training under Koy, Alison Lim and her head coach Jess Graba. Admittedly, there was a bit of a learning curve going from living room acrobatics to a structured training program. "It's not quite as natural since she started so late and she had a lot of crazy schoolyard stuff when she came in," said Graba. "You kind of had to retrain her a little bit. But at the same time, she's so talented she's able to pick up on it." Suni has progressed — and rapidly. When she was 7, she won the all-around at a state meet; it was only the second meet of her career. At age 8, she jumped three levels in one year. 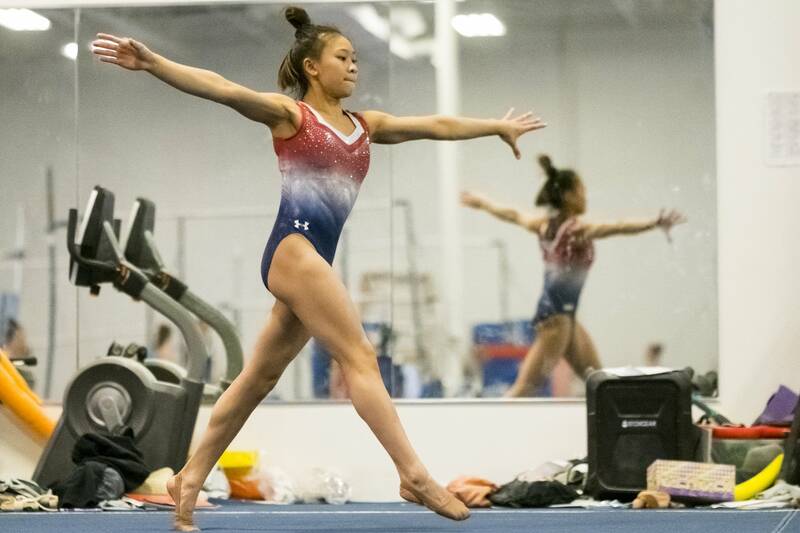 In the USA Gymnastics Junior Olympic program, there are 10 levels, each requiring that an athlete master a certain set of skills before they can advance. Beyond Level 10 is the elite program. Only elite gymnasts compete for the U.S. at the world championships and the Olympics. Suni qualified for elite just as she turned 11 in 2014. Now, at 14 — eight years after she first walked into a gym — she is already among the best gymnasts in the country. Making the Olympic team would be monumental, not just for Suni, but also for the Hmong community in America. In the past, organized sports were not typically encouraged within the Hmong community — it was seen as fun and games, something frivolous taking time away from education. Parents also didn't see much career potential in sports. That's no longer the case. "After 40 years of being in the U.S., parents' mindset have changed. They see the importance of sports," said Lee Pao Xiong, director of the Center for Hmong Studies at Concordia University in St. Paul. They now see benefits such as sports keeping kids active, providing a structured environment and allowing children to develop discipline, focus and self-esteem, he said. "I certainly hope she makes it all the way and becomes a part of the Olympic team and comes back with a gold medal," Xiong said. "Just think about that." "(It) will inspire the next generation to say, 'Hey, I want to be like that.' 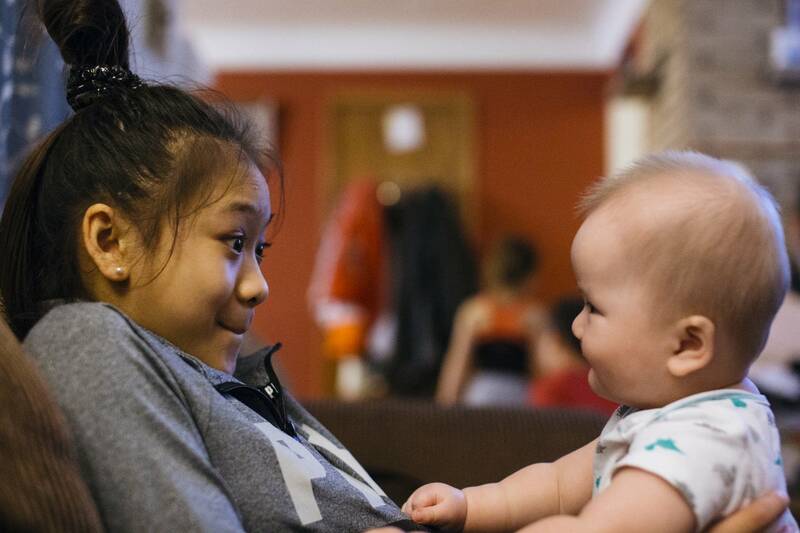 "
For her part, Suni could also popularize the sport in the Hmong community. While gymnastics is a favorite activity for many Hmong, it tends to be unofficial — more of a flip-on-your-mattress or back yard antics kind of thing. Being so unfamiliar with the official sport may mean Suni isn't getting the respect she deserves, her father said. "(They don't) understand how important it is. She goes to competitions and after the competitions, people are flooding her for autographs. The Hmong community, they don't understand that. They don't understand how important it is to make it that far," he said. That could soon change as Suni's star rises. 1996 was a banner year for U.S. women's gymnastics. That was the year the Magnificent Seven won the United States' first women's Olympic team gold. But at the 2000 Games, the Americans finished fourth and left Sydney empty-handed, though 10 years later, they were retroactively awarded bronze medals after the Chinese team was disqualified over an age violation. The downward spiral led to USA Gymnastics, the national governing body for the sport, to overhaul its sports program. It became a semi-centralized training program, in which top athletes would continue to train at home with their own coaches but they would also periodically attend national team training camps. The system has proven effective, with U.S. women winning team silvers in the 2004 and 2008 Games and gold in 2012 and 2016. American women have also won the Olympic all-around title — the sport's most coveted prize — four times in a row. The U.S. has become so dominant that the biggest competition usually now comes from within. USA Gymnastics has approximately 90,000 girls who are registered as athlete members, out of about 155,000 total athletes registered in competitive programs. Of that figure, only about 24 make it onto the women's national teams, in either the junior or senior level, in any given year. (The difference between juniors and seniors is age; seniors turn 16 in the year). Suni joined that exclusive club in February, when she was named to the junior national team following her solid performances at that month's national team camp. That in itself is rare and speaks to how rapidly she's improving. 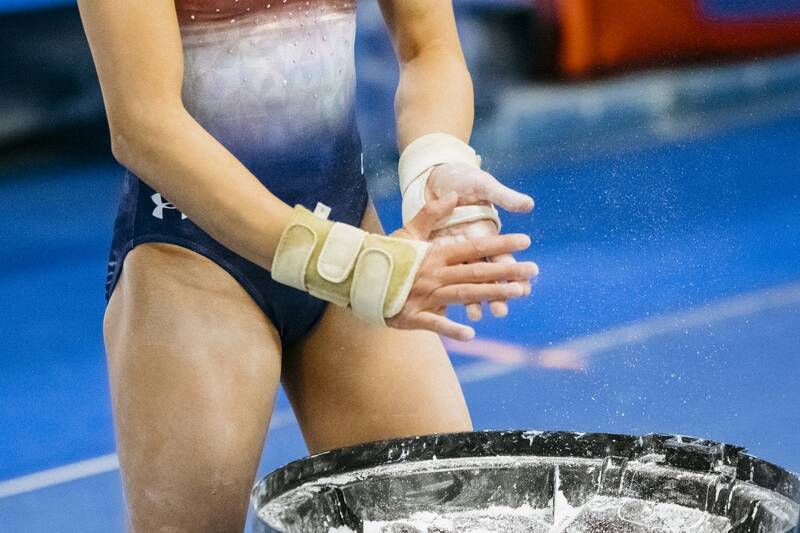 Typically, the teams are set after the annual national championships at the end of August; however, sometimes a gymnast will show such growth between nationals that she's added to the team. "We do this verification at camp where we show all of our routines, and then at the end of practice they all lined us up. And then they all just called our names," she said. "It felt really good because then I knew that one day I could represent the USA," she said. But that wasn't the only big news for Suni that month. She also found out she'd be making her international competitive debut in Montreal at the Gymnix meet. It would also be her first trip out of the country. The team went on to win gold and Suni also won silver on the uneven bars. But she'll be the first to admit that it was a rough competition. She fell on the floor and twice on beam. "I felt so bad because I felt like I put the team down," Suni said. Still, she took some lessons out of her struggles in Montreal. "It taught me to never ever give up and keep fighting until the end, and just work harder and harder to get better every day." There's no sugarcoating it — elite gymnastics training isn't cheap. Between gym fees, paying for a coach, travel expenses (for both the gymnast and the coach), leotards and more, the costs can quickly add up. According to an analysis by Forbes magazine, the average annual cost of raising an Olympic-level gymnast is $15,000. If a gymnast makes it onto the national team, USA Gymnastics picks up some of the costs but depending on the funding available, it's not always a guarantee. Families still must factor in expenses for their own travel and lodging and time away from work. Yeev Thoj admits she and John Lee run around town daily, between their own jobs and Suni's schedule. Lee is a service engineer at Cummins and Thoj works for U Care in the case management department, and there are five other children in the family (the eldest two are step-siblings and don't live with them). Suni's coaches have picked up the tab over the years, paying their own way to developmental or training camps and have even waived gym fees. There's no question of turning her away because of lack of money — after all, you don't turn away someone like Simone Biles or Shannon Miller if they walk through your door. "It's more of a choice of you have a kid that's very talented and you want to give them every opportunity and so you kind of just go where it leads," her coach Graba said. "We look at it that way — if she's doing the work, then we're going to help with the other stuff." For Lee and Thoj, getting to Suni's competitions is a lot trickier these days, too. If it's close enough, they'll drive. If it's too far, they weigh whether they can afford to fly. Sometimes, only one of them can go. This year, the national championships are in Anaheim, Calif., from Aug. 17-20. They're still trying to figure out who should go and how they'll get there. "We see potential in her. That's why we spend that kind of money," Thoj said. Their friends and extended family do what they can to help. At least once a year, Lee holds a fundraiser at a local bar or nightclub, in which he "sells" a certain number of tables for the night. Occasionally, Suni makes an appearance and sings for the crowd and signs autographs. Other times, the family just has a "pho day" at their house, where they make a huge batch of the noodle soup, and ask for donations in exchange for a bowl. Lee jokes that if Suni weren't in gymnastics, he could have had a new car by now, or maybe a boat. Or even his vacation days. He's down to just one week left for the rest of the year. "But, you know, sacrifices," he says without a hint of regret. Suni appreciates her family all the more for what they're doing — and giving up. "It feels good for them to be supporting me because I love gymnastics so much," she said. She's been working on upgrading her vault and cleaning up all of her routines — making sure her leaps are fully extended, toes are pointed and that she sticks her landings — and becoming more consistent. Suni also acknowledges she has to work on getting her nerves under control. "I'm shaking before I go. I just get so nervous," she said. "I just want to hit my routines and make it good, but every time I get up on my event, I think about not falling and that's the worst thing to think about, and then I get more nervous and shaky and then it gets bad," she said. She has three more years to get a handle on it, to work on perfecting focus that allowed her to block out that piece of foam flying right at her. Because in 2020, her drive and talent may take her all the way to the Olympics. Nancy Yang is a digital producer for MPR News.